4NJBets is the legal way to bet on Horse Races in New Jersey! 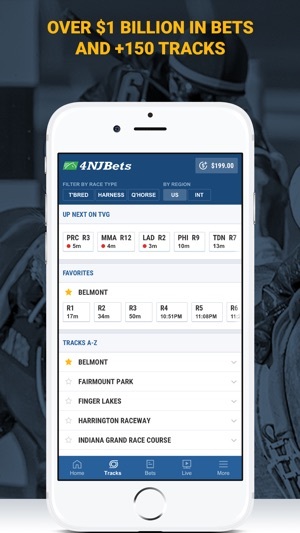 TVG the #1 Horse Racing Network presents New Jersey's legal horse racing betting app. 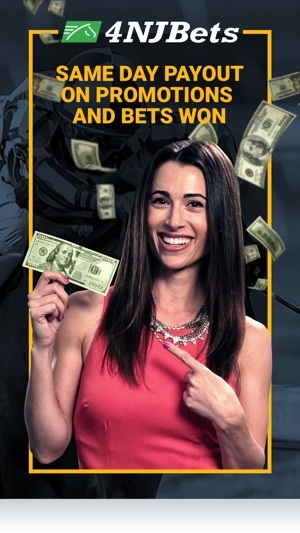 Bet legally on Horse Races at over 150 WORLDWIDE TRACKS - access exclusive TVG HANDICAPPING INFO - watch LIVE STREAMING races from the heart of the action - and of course, PLAY TO WIN! 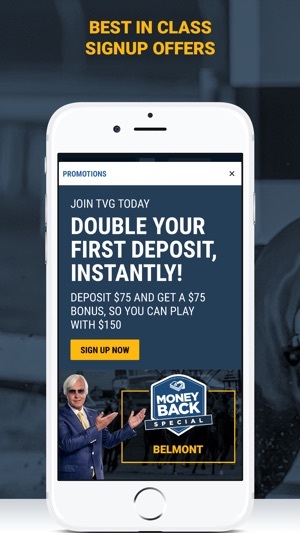 With 4NJBets by TVG, you’re never more than two taps away from a winning bet. Pick your favorite, watch them beat the competition, and cash out on us. Our free app has you covered. Set race alerts for the Kentucky Derby, Preakness, Belmont Stakes, Breeders Cup Festival, or browse our presenters’ top picks. TVG covers the most exciting events in horse racing! Don’t miss out on the fun including unforgettable events from Saratoga including the Travers Stakes, not to mention all the action at Del Mar like the Pacific Classic! 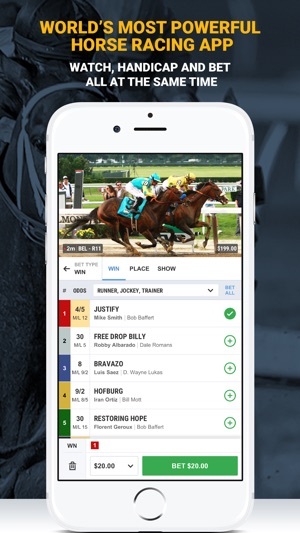 With 4NJBets you can choose from hundreds of tracks, so you’ll never miss an opportunity! Download the app to start your winning streak today. Race day is here! Download the app now! Bet online in NJ today! Supports 150+ tracks including: Del Mar Thoroughbred Club, Santa Anita Park, Gulfstream Park, Saratoga Racecourse, Keeneland Race Course, Monmouth Park, Belmont Park, Arlington Park, and more! 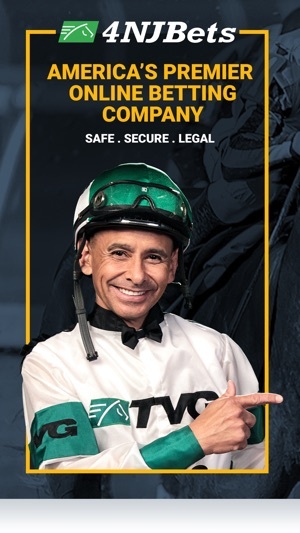 TVG is America’s #1 Horse Racing Network and the Largest Legal Horse Racing Wagering Site in America and proud sponsor of Del Mar’s TVG Pacific Classic. 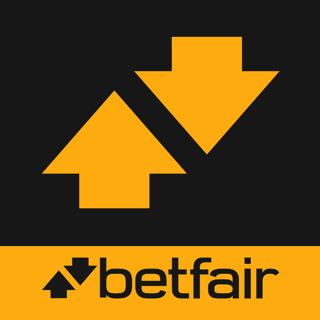 TVG is owned by Betfair, a global leader in online gaming. 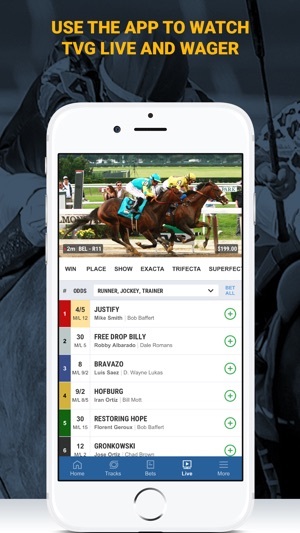 To access the app you’ll need a 4NJBets wagering account; you must be at least 21 years of age; a United States citizen or resident alien; a resident of a state where wagering services are available* and certify that the application information you provide is accurate. False statements made in regard to an application may subject the applicant to prosecution. AWARE – Always Wager Responsibly – National Gambling Helpline: 1-800-522-4700. Ideas/Concerns? We love to hear from our customers! Reach out at: customerrelations@tvg.com we'd be happy to help you! I never had an issue with live streaming races. Started about two months ago . During a race 99% of the time the video screen either locks up or blurry out. Race normally starts out fine but deteriorates during or near the end of a race. Operating Apple IPad, IMAC and IPhone 8. I OS 11.3.1. I have been a customer for years without video issue, now support gives me all of these responses such as use the logout button, clear your history. This is not the issue. Something occurred with either the last updated app and or compatibility with iOS 11.3.1. It is getting frustrating to watch a race through the top of the stretch to have it freeze. Sometimes it comes back sometimes it does not. I don't understand why if it's a last race at whichever track, I cannot click the play button to watch the race once it has started. I either have to hope tvg is airing it on tv or go onto my computer. I love using the app but that drives me nuts. Every single race, if its the last race and that race has started you cannot watch it, you have to wait to see the results. This app is the worst for live streaming. Always the same pattern. Works well the beginning of race but gets blurry and freezes up or goes black screen at the end of the race. It’s like who cares about the beginning of the race we want to see the end of the race. Nothing like having money in a race and not knowing what happens at the end and having to wait until it’s official. Get your act together.